How safe is your home? There are probably a lot of things that you are taking for granted that could cause some serious accidents. It would just take a little effort to change bad habits and ensure the safety of your entire family. Here are five great safety tips you can put into action today. Do you wait until your smoke alarm starts beeping before you replace the battery? Ideally, you should swap out batteries when daylight savings time occurs. But that isn’t all you should do. You should test the alarms monthly. It’s just a simple push of a button. It also helps to have an evacuation plan set for your family. Everyone should know where to go and how to react in case there is a fire. Staircases are of vulnerable area for falls. This is why you need to occasionally inspect railings and step runners. This shouldn’t be anything loose or slippery. Staircases leading down into the basement should be well lit. And there shouldn’t be any clutter on staircases at all. From a kids perspective a pill isn’t much different from a piece of candy. Just because it happens to be in a yellow bottle in the medicine cabinet doesn’t mean it won’t taste good. You might think that having medicines in the medicine cabinet is out of reach but how inventive are your children? Could they bring a chair into the bathroom to get at those medicines? It might be a good idea to put an additional latch on the medicine cabinet to keep it secure. You should also take that same approach for your kitchen where you keep your cleaners. Are you in the habit of leaving the kitchen while the stove is on? That might be a habit worth breaking. You also want to keep things like paper towels, cardboard boxes and potholders away from those open flames. If you’ve got children in the kitchen while you’re cooking, then you should turn the handles away from them to prevent them pulling them off the stove. Any home with a swimming pool and a toddler should have a gate around that swimming pool. But that is not the only place a toddler could accidentally drown. They should never be left alone in a bathtub even for a minute. Old newspapers and magazines are considered clutter. That might not seem like a danger until their stacked high and can fall over causing someone to trip on them. There are other clutter things like old appliances out in the garage that could be a hazard. These are the kinds of things that you should have removed by Junk King St. Petersburg today. One call to these professional junk haulers will have a team of very capable movers sent to your home for fast junk removal. 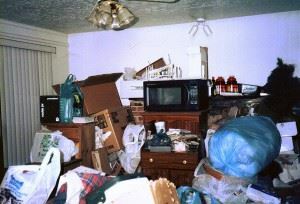 You’ll enjoy working with Junk King St. Petersburg to make sure your home is safe and free of clutter. This entry was posted in St. Petersburg Junk Removal and tagged clutter, junk King St. Petersburg, rubbish, safety on June 28, 2017 by Junk King. Last updated June 28, 2017 .